First published in William Wordsworth and Samuel Taylor Coleridge’s groundbreaking joint collection, "Lyrical Ballads" (1798), “Lines Composed a Few Miles Above Tintern Abbey” is among the most famous and influential of Wordsworth’s odes. It embodies the crucial concepts Wordsworth set out in his preface to "Lyrical Ballads," which served as a manifesto for Romantic poetry. 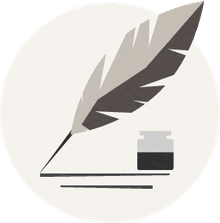 “Lines Composed a Few Miles Above Tintern Abbey,” like many of Wordsworth’s early poems, takes the form of a monologue in the first-person voice of the poet, written in blank verse—unrhymed iambic pentameter. Because the rhythm of many of the lines has subtle variations on the fundamental pattern of five iambic feet (da DUM / da DUM / da DUM / da DUM / da DUM) and because there are no strict end-rhymes, the poem must have seemed like prose to its first readers, who were accustomed to the strict metrical and rhyming forms and the elevated poetic diction of 18th-century neo-classical poets like Alexander Pope and Thomas Gray. One further note about the poem’s form: In just three places, there is a mid-line break, between the end of one sentence and the beginning of the next. The meter is not interrupted—each of these three lines is five iambs—but the sentence break is signified not only by a period but also by an extra vertical space between the two parts of the line, which is visually arresting and marks an important turn of thought in the poem. 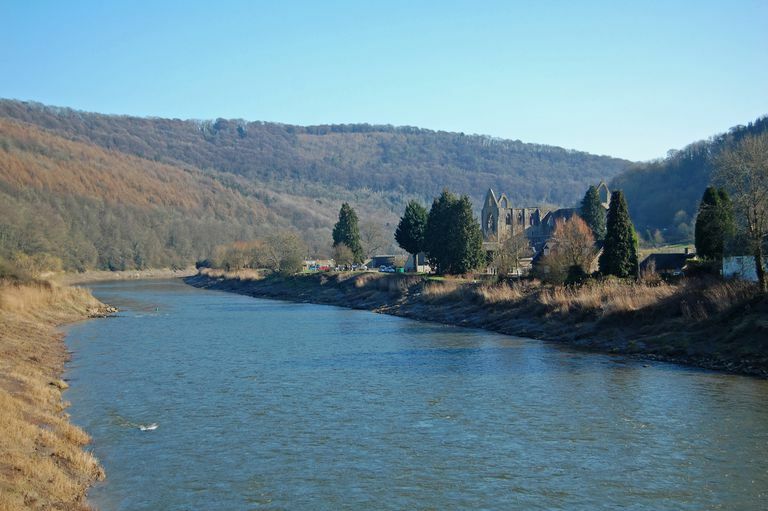 Wordsworth announces at the very beginning of “Lines Composed a Few Miles Above Tintern Abbey” that his subject is memory, that he is returning to walk in a place he has been before, and that his experience of the place is all bound together with his memories of being there in the past. Wordsworth repeats “again” or “once again” four times in the poem’s first section description of the “wild secluded scene,” the landscape all green and pastoral, a fitting place for “some Hermit’s cave, where by his fire / The Hermit sits alone.” He has walked this lonely path before, and in the second section of the poem, he is moved to appreciate how the memory of its sublime natural beauty has succored him. And more than succor, more than simple tranquility, his communion with the beautiful forms of the natural world has brought him to a kind of ecstasy, a higher state of being. But then another line is broken, another section begins, and the poem turns, its celebration giving way to a tone almost of lament, because he knows he is not the same thoughtless animal child who communed with nature in this place years ago. He has matured, become a thinking man, the scene is infused with memory, colored with thought, and his sensibility is attuned to the presence of something behind and beyond what his senses perceive in this natural setting. These are the lines that have led many readers to conclude that Wordsworth is proposing a kind of pantheism, in which the divine permeates the natural world, everything is God. Yet it seems almost as if he is trying to convince himself that his layered appreciation of the sublime is really an improvement over the thoughtless ecstasy of the wandering child. Yes, he has healing memories he can carry back to the city, but they also permeate his present experience of the beloved landscape, and it seems that memory in some way stands between his self and the sublime. And he is wistful, not certain, but hoping and praying (even though he uses the word “knowing”). Would that it were so. But there is an uncertainty, a hint of mournfulness underneath the poet’s declamations. Learn About Blake's "Tyger, Tyger, Burning Bright"